All entries shall be submitted on-line via OnlineJuriedShows.com. Click here to review the full prospectus and to submit entries. Aline Ordman is a Master Pastelist with the Pastel Society of America, a Signature Member of the American Impressionist Society and a Master Circle Pastelist with the International Association of Pastel Societies (IAPS). Her work has been accepted in national juried shows of the American Impressionist Society, The Pastel Society of America and the Oil Painters of America. Aline has won awards several times in the Top 100 Pastels issues of the Pastel Journal. She was featured in an article in the February issue of the Pastel Journal and she has been honored with awards at the 33rd, 34th and 38th Annual Juried Shows of the Pastel Society of America in New York City. Aline teaches workshops throughout the country and in Europe. She has juried the Pastel Society of America's National Juried show, The Pastel Journal's Top 100 Animal and Wildlife Competition, the Pastel Society of New Mexico's Annual Juried Show and the Adirondack Plein Air Festival Awards. Her web site is http://alineordman.com. More than $6,500 in cash and merchandise will be awarded including: Best-in-Show $1,500 cash award. Original artwork only. Open to artists 18 or older residing in the United States and Canada. All paintings must be the artist’s own original work and at least 80% soft pastels (no oil pastels). All accepted work must have been completed within the last two years and may not have been shown in a previous Shades of Pastel exhibition. Work is ineligible if it was: 1) produced whole or in part in an instructor-led class or workshop; or 2) copied substantially from the work of other artists, from published materials, or from photo reference material belonging to others. Maximum framed size of accepted work should not exceed 36” on the longest dimension. All manner of subject and style are eligible. Paintings delivered to the exhibit must be identical to the accepted digital image. Digital entries ONLY via OnlineJuriedShows.com. Please follow their image specifications. Non-Maryland Pastel Society Members: US $40 for 1 image, an additional $5 per image, up to 3 images total. Entry fees are nonrefundable and must be in US dollars. Entry deadline is at midnight on the date listed above. All entries must be made through OnlineJuriedShows.com. The utmost care will be taken in the handling of digital images and paintings. Insurance for all artwork, in situ and in transit, is the responsibility of the participating artist. 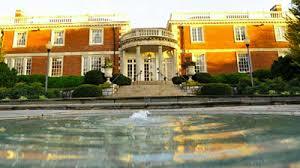 Neither the Strathmore Mansion nor the Maryland Pastel Society may be held liable for loss or damage of artwork. Maryland Pastel Society and the Strathmore Mansion reserve the right to reproduce accepted entries in the catalog and for publicity. Copyright will be attributed to the artist. Submission of entry via OnlineJuriedShows.com and corresponding fee shall constitute agreement with ALL conditions set forth in this prospectus. Permission to reproduce artist’s work for publicity purposes is assumed with acceptance. Detailed delivery and shipping instructions will accompany the notification letter of accepted works. All works must be appropriately framed under glass or Plexiglas and ready to hang. For larger pieces, please consider using Plexiglas to minimize weight. Matting (neutral) and frames should be simple. Framing must be to gallery quality standards. Detailed specifications about hanging hardware will accompany the notification letter of accepted works. Paintings delivered damaged, with dirty matting, with broken/inadequate hanging wire or hardware, or an unprofessional presentation will not be hung and will be returned at the artist’s expense. The Strathmore Mansion Art Galleries retains 30% commission on sales of artwork. Work may be listed as NFS but no “price on request.” All work displayed must remain for the duration of the exhibition. No work will be released before the close of the exhibition. Please contact Mary Boeh, "Shades of Pastel" 2019 Chair, at sop2019mps@gmail.com.